If you ask owner and jewelry craftswoman Brandy McNair how she chose her business name, she’ll smile before answering your question. “My family is Italian – and [Bella Vita] means “Beautiful Life” in Italian. I wanted to stay true to that Italian heritage,” she says. Bella Vita, now located in the Lafayette Building at 523 South Louisiana St. in Downtown Little Rock has been a long time in the making. 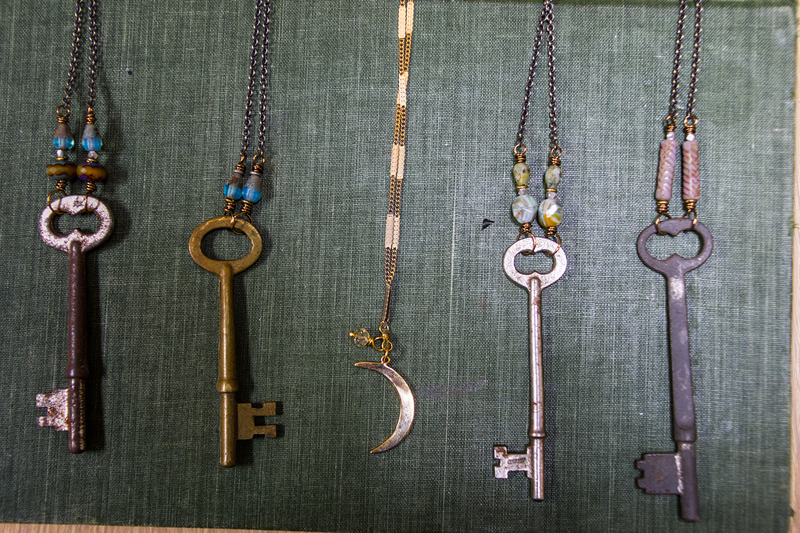 McNair grew up making jewelry, and looks to her family as a solid source of inspiration. As soon as she could, McNair took a job in a Eureka Springs bead store, working there up until college. 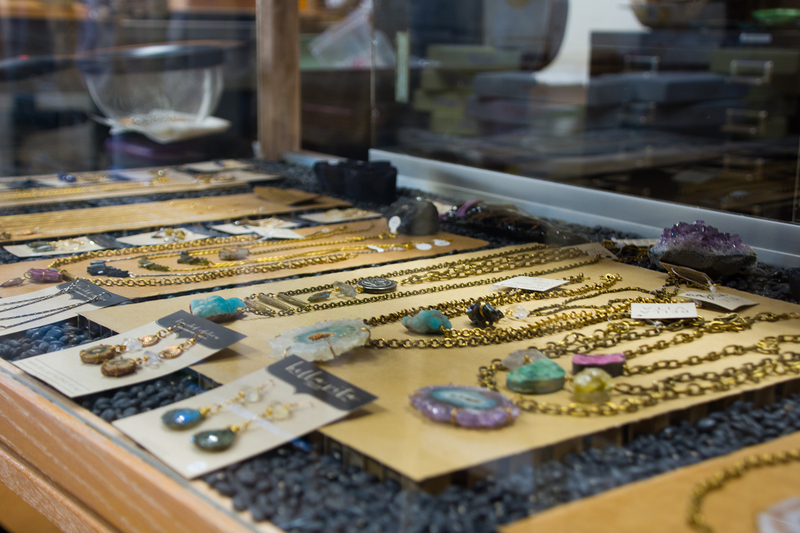 “I sold quite a bit of jewelry before I even graduated from high school, it was a nice little income,” she remembers. When McNair went to the University of Arkansas at Fayetteville to study Interior Design, she took a bit of a break from jewelry making. When she graduated she moved to Little Rock, only to find she didn’t much care for sitting at a desk all day. Since then, the line has flourished. Bella Vita has since now been in operation for a total of eight years, with the downtown shop being just over a year old. 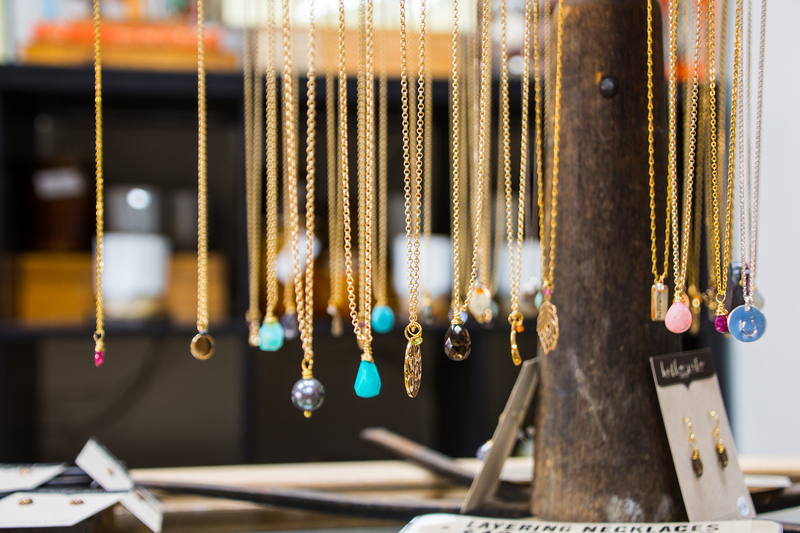 The line offers one of a kind runs of personalized and hand stamped charms, natural stones, hand cast bronze and sterling pendants, and vintage baubles. Currently, McNair is wanting to grow the retail side of her shop, with the goal of bringing in more local artists. A recent feature in Southern Living magazine opened her up to more regional customers, but she wants to make a mark in Little Rock. 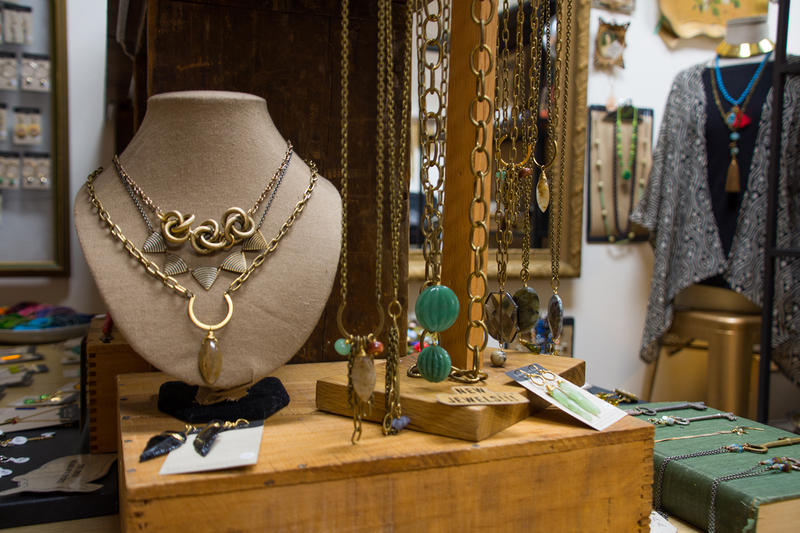 When not making jewelry or attending craft fairs, McNair tries to stay active in the local scene, getting out to various art events. She’s involved with Legends of Arkansas, and as a volunteer, helps them organize their craft vendors. McNair also spends a good deal of time at the Arkansas Art Center. This much is clear, Little Rock is her home, especially downtown, which she loves. If you haven’t been in yet, stop by the shop and say hello.